MISSOULA, Mont. (CN) — When Secretary of the Interior Ryan Zinke removed grizzly bears in the Greater Yellowstone Ecosystem from the Endangered Species list in late June, at least seven environmental groups filed notices of intent to sue him. But nine Indian tribes have beaten them to the punch, citing violations of religious freedom. 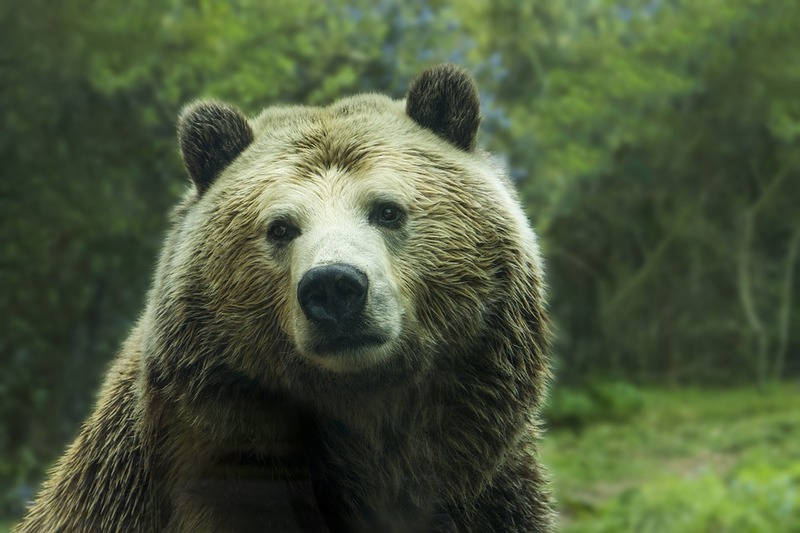 Zinke announced on June 22 that he was removing grizzly bears in the Greater Yellowstone Ecosystem from protections of the Endangered Species Act. Conservation groups filed notices of intent to sue June 30, but must wait 60 days under the Endangered Species Act to give the Department of the Interior and the U.S. Fish and Wildlife Service an opportunity to respond. As Fish and Wildlife prepared to delist the Yellowstone grizzly, it sent notification in April 2014 to just four tribes. A year later, after acknowledging that was probably insufficient, Fish and Wildlife sent letters to 53 tribes, saying they could participate in a online seminar. The tribes refused to participate, saying federal rules require that consultation be direct and meaningful government-to-government collaboration. As Fish and Wildlife proceeded to work with other federal and state agencies to delist the Yellowstone grizzlies, tribes were not represented in the meetings. Had they been present, tribal representatives would have cited the religious importance of the grizzly bear, according to the tribes’ 34-page lawsuit. The spiritual leaders say grizzly bears need to be allowed to expand throughout their historical range for tribes such as the Hopi to freely express their faith. They say that under the Religious Freedom Restoration Act, Fish and Wildlife should not take action that prevents grizzlies from repopulating their homeland, such as allowing states to conduct trophy hunts. “It’s not surprising, but it’s not acceptable for our tribes to be ignored of our needs and our requests. We wanted full consultation, meaningful consultation with the Fish and Wildlife Service. But even though they promised us, that’s not happening,” Ben Nuvamsa, former chairman of the Hopi Tribe, told the Public News Service. The tribes seek an injunction against the delisting until Fish and Wildlife properly consults with them and considers their religious needs. The nine tribes and their representatives are just a fraction of more than 120 tribes and nations in the United States and Canada that have signed a Grizzly Treaty in the past year to protect the bear. On July 4, some of those tribes met in Rapid City, South Dakota, to renew their opposition to the delisting, among other issues. “It’s sacred, our brother, our sister. It would be like going out there and murdering,” said Shoshone-Bannock Tribes Councilman Lee Juan Tyler. However, the tribes do not comprise a totally unified front. On the Blackfeet Reservation in north central Montana, the Blackfeet Tribal Business Council supports the delisting, though it opposes trophy hunting on the reservation. But in a June 17 letter to the Interagency Grizzly Bear Committee, the Crazy Dogs Society of the Blackfeet Nation said the Business Council did not have the authority to speak for the tribe on matters related to the grizzly bear, and Society leader Leon Rattler questioned whether the council had conflicts of interest. “Without ESA protections, restrictions on mining, fracking and fossil fuel extraction generally would either have not existed or been industry-friendly. Delisting the grizzly will remove those protections from our lands, as leases for fossil fuel development, logging, etc. will be relaxed,” Rattler wrote. Erik Molvar of Western Watersheds Project expects grazing leases to proliferate on federal land occupied by grizzlies and the resulting conflict will mean more dead bears. After the 60-day notice period has passed, conservation groups will request a preliminary injunction or temporary restraining order, said Western Environmental Law attorney Matthew Bishop — particularly if Montana or Wyoming tries to organize a hunt for this fall. The tribal plaintiffs will probably add Endangered Species Act arguments to their lawsuit once the 60 days has passed. With so much duplication, Bishop said, he expects the lawsuits to be consolidated. “There are a lot of cooks in the kitchen. My hope is that the cases will be consolidated but we’ll all have our separate briefings, because there are some different issues we’re pursuing,” Bishop said. The conservation groups include the WildEarth Guardians, Western Watersheds Project, Alliance for the Wild Rockies, Center for Biological Diversity, Sierra Club, National Parks Conservation Association and the U.S. Humane Society. The tribes and their representatives are represented by Peter Breuer, with Fredericks Peebles & Morgan, of Louisville, Colorado.